This luxurious apartment has been thoughtfully furnished with a stylish decor and utmost attention to detail. It boasts a large window, which provides wonderful views of the sea and the surrounding area. You will also benefit from two bedrooms, two bathrooms, a kitchen and living area. The complex includes well-maintained gardens and a communal swimming pool. Situated in a residential area, the apartment is just a few minutes from the nearby beach as well as a selection of restaurants and supermarkets. In addition, with a deposit of 50€ (for remote for garage), a secure parking with electric gate is available in the complex. Please note: construction work nearby from 07/01/2017 until 01/01/2019. This beautiful modern apartment is made from brick or stone and was built in 1989. The agent has rated it as a five star property so it is one of their best apartments - tastefully furnished and fully equipped. It is also great value for money. 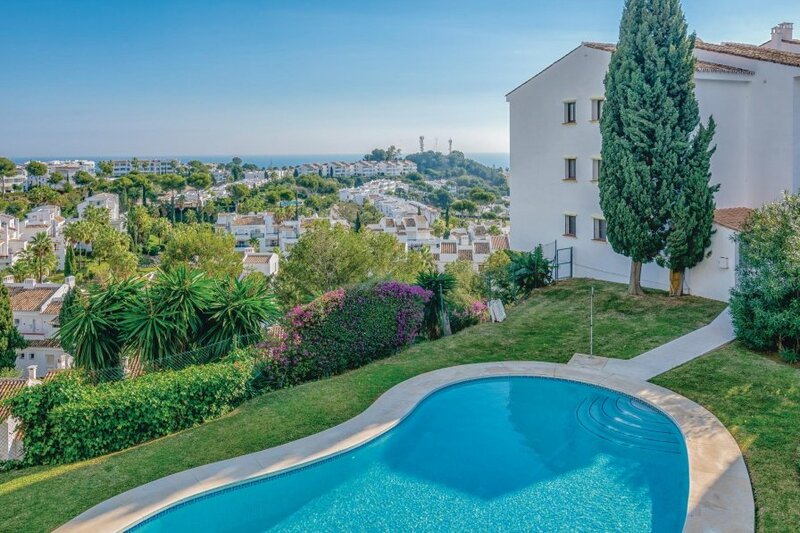 This apartment has use of a shared pool and sea view; it is also located in Riviera Del Sol - Fase II, only 2km from La Cala De Mijas. The nearest airport is only 37km away. It is set in a very convenient location, 1km away from a sandy beach. There's also a restaurant only 180 metres away. The apartment has free wireless internet. You can also park on-site at no extra charge. The apartment is well equipped: it has a refrigerator, microwave with oven, washing machine and dishwasher. It also has some garden furniture outside.